Yours is near perfect. I always loved the red face mask for them. 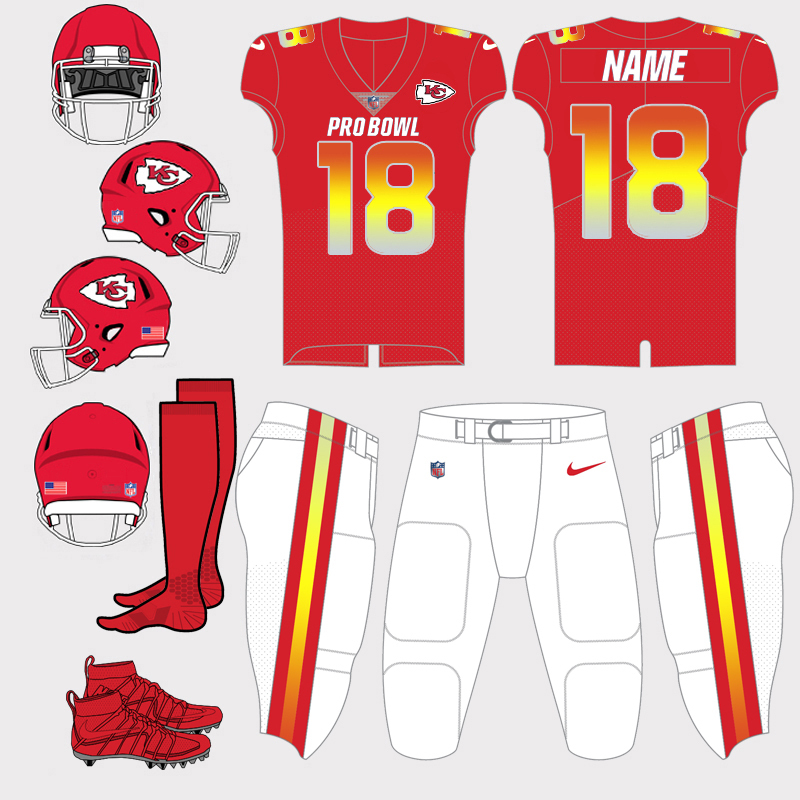 Wow that Pro Bowl AFC set could literally be a KC uniform. 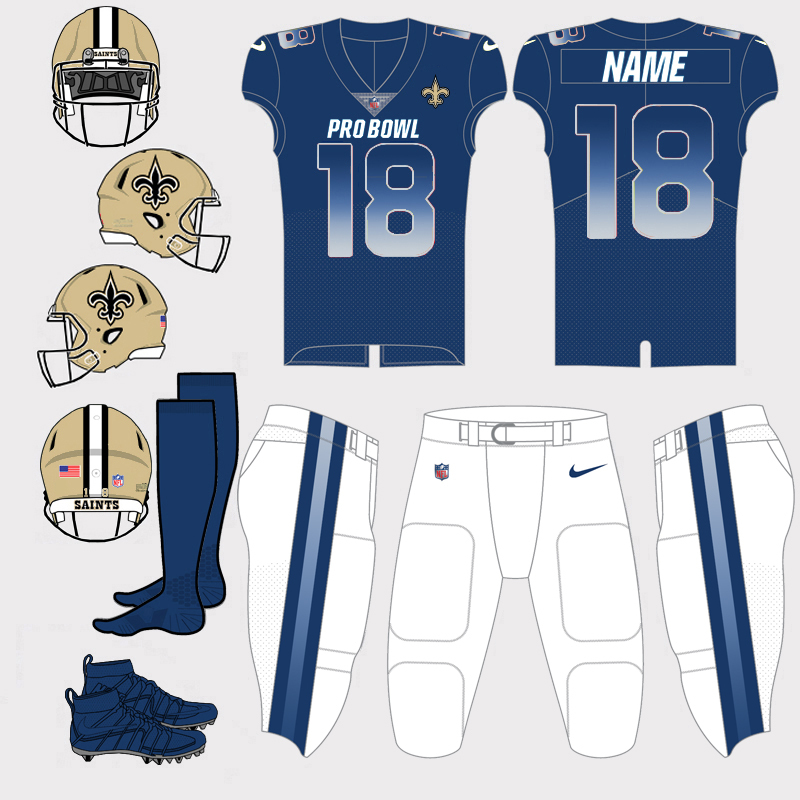 The Saints players might pack their black pants and black socks though to go with that navy blue jersey. Nothing about what nike does in regards to team sports uniforms makes sense. Its beyond frustrating. Also what if for the pro bowl the nfl went the way nba did for a few years and have teams where their standard uniforms . One year AFC white NFC color and vice versa the year after. Obviously the NFL (Pro Bowl) and the teams have a say in their respective designs. so same exact Pro Bowl uni's as last season? I’m wondering if those helmets should be Cowboys and Chargers being it’s their coaching staff. Back in the day the Conference Champ losers had the coaching staff. Will the SB field finally bring back the conference logos on the endzones? They’re more Delaware (Joe Flacco-era) than Michigan from a color standpoint. And aside from having primarily blue helmets with yellow horns/wings, their uniforms are considerably different. Michigan’s jerseys are dark blue with yellow numbers and no other notable design on the jersey or yellow pants, while the Rams are royal blue with yellow numbers/horns on the sleeves and their yellow pants have stripes. They were going to white horns and stripes regardless. They let social media decide between white or navy facemask and single or double stripes. Anyways rant over, this is going to be a really good looking super bowl, thank GOD its not the patriots navy blue vs rams whites. I know I am in the minority but I like the blue and white helmets. Obviously the problem is the aged jersey with gold. Get a new blue and white jersey set and be done. Maybe yellow swooshes and alternate yellow socks. Then the royal and yellow can stay a beloved alt to be worn maybe three times a year. 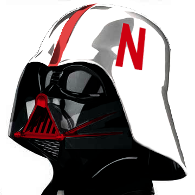 I also like the blue and white helmets. The simplicity of those two colors works well for Penn State, and I think it could for the Rams, too. Bright lights of Hollywood in a dark night kind of vibe. It’s just hard to separate them from yellow, so I do like the idea of a throwback alternate sticking around in that case.